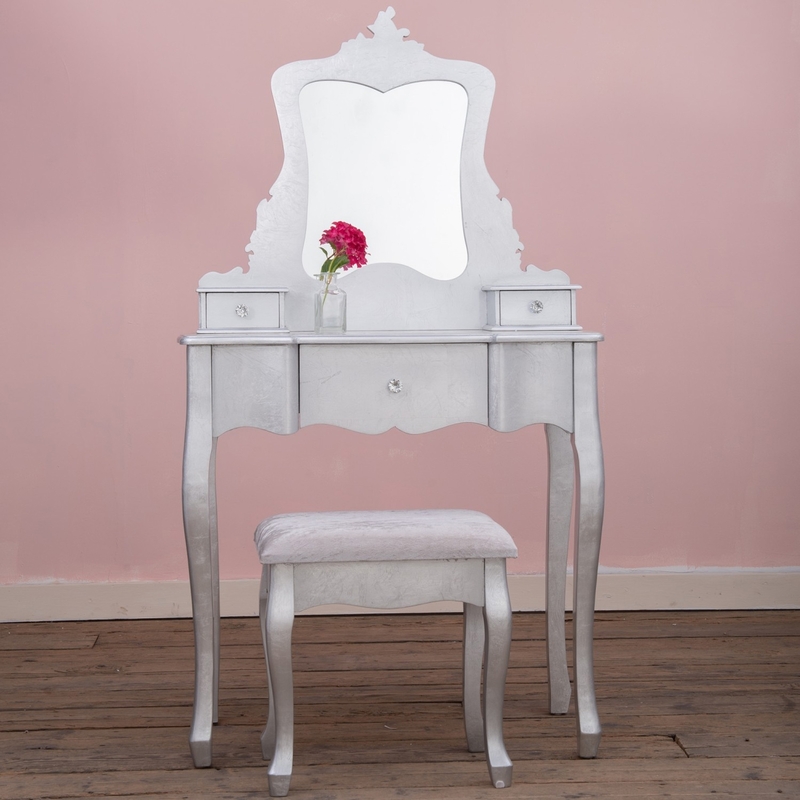 Invite a touch of Antique French Elegance into your home with this extortionate silver gilt leaf dressing table. As you can see from the image above this stunning dressing table displays smooth curves with intricate detail to help you achieve that French Boudoir feel. This is a full breath - taking dressing table set and we can guaranteed you will not be displeased.